There are many reasons which make space a uniquely attractive manufacturing environment. The microgravity environment in Earth orbit enables some manufacturing processes that are more difficult or impossible terrestrially. Solar energy supplies space solar panels with a higher illuminance due to lack of atmospheric interruption which improve their power output. Using the space environment for manufacturing can also help avoid damage to the environments and ecosystems of Earth, and allow production of systems for use in space which are either too large or fragile to be launched from Earth. As space manufacturing grows, the eventual usage of resources sourced from space in the space manufacturing process will provide many cost and environmental benefits. This is because space sourced materials will not require launch cost for delivery from Earth, nor will their extraction and processing involve the damage of Earth habitats and environments. Recently, many new products have received development attention by companies seeking to utilize the benefits of space for manufacturing. Some of these include the manufacture of optical fibers, human hearts, and retinal implants. Significant progress has been made by Made In Space on the space manufacture of ZBLAN optical fiber. This material has optical properties which allow greater performance than most terrestrially produced fiber optic cables. When used to produce optical fibers in microgravity, the fiber-pulling machine created by Made In Space is capable of producing optical fiber which is orders of magnitude better than what can be produced on Earth. 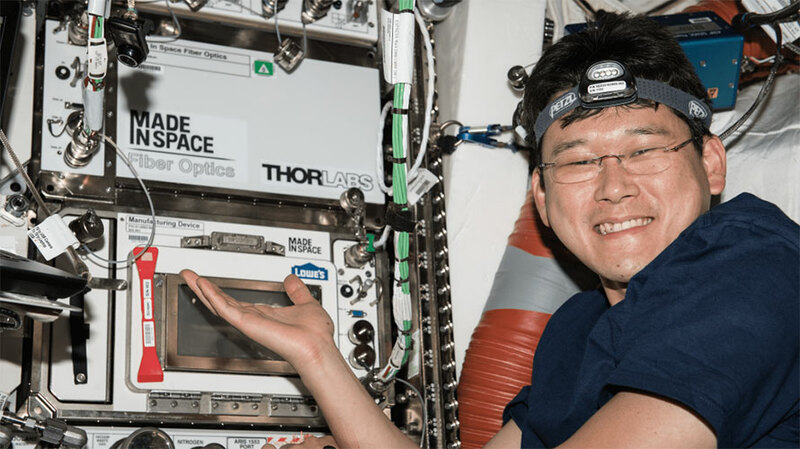 Just a few years after Made In Space delivered the first 3D printer to produce parts on the ISS in 2014, they flew their first optical fiber facility to the station in 2017. In that first flight they were able to calibrate the manufacturing system for the microgravity environment. Following that, a second flight was done which produced short lengths of cable to verify the fibers quality. And finally, Made In Space is working on a goal to pull 100 meters of ZBLAN fiber. They plan to further develop the technology by continuing to fly multiple development and production flights per year, creating a product for Earth that is made in space. On a different front, the effort to supply the thousands of human hearts needed each year by transplant patients is a driver of innovation. Currently the need for hearts far outstrips supply and thousands of people die on waiting lists every year. In the effort to solve this, methods have been researched to grow hearts in the lab, but under the influence of gravity these growing organs require the use of scaffolding to support them during the growth process. The difficulty this poses is that removing the scaffolding is a huge challenge. A solution to this is to grow the organs in microgravity. The testing of microgravity organ tissue printing comes from a company called Techshot who has developed a BioFabrication Facility (BFF) with NASA to create heart repair patches using a patient’s stem cells and a 3D printing process. This innovative system will be launched to the ISS on the NASA Commercial Resupply Services-18 (CRS-18) mission planned for mid 2019. The device will start with tests of cardiac tissue printing, then eventually return to Earth for modifications before being sent back to the ISS for further testing. The company believes full organs won't come until 2025 or after. 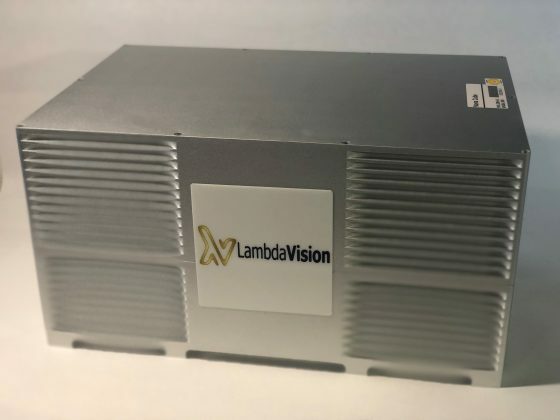 Other innovations in the health field are also looking to take advantage of space, such as the attempt by LambdaVision to produce retinal implants in space. The company seeks to utilize microgravity to create protein-based implants that are more stable and homogeneous than terrestrially produced implants. The company sent its first system for manufacturing experiments to the ISS aboard CRS-16 on December 5, 2018. The company believes that the implant could one day restore vision for patients with retinitis pigmentosa (RP) and age-related macular degeneration (AMD). Each of these three innovative technologies has the capability to generate a product that can, for the first time, be manufactured in space for a profit. This is important in that it is the first step toward creating a diverse and self supporting economy of products and services in space. That space economy creating value out of operations in space is a first step towards further investment and utilization of space. These are the companies which will likely promote increased investment in space and lead to the utilization of space derived raw materials.